Ice Hockey - 14. April 2019. 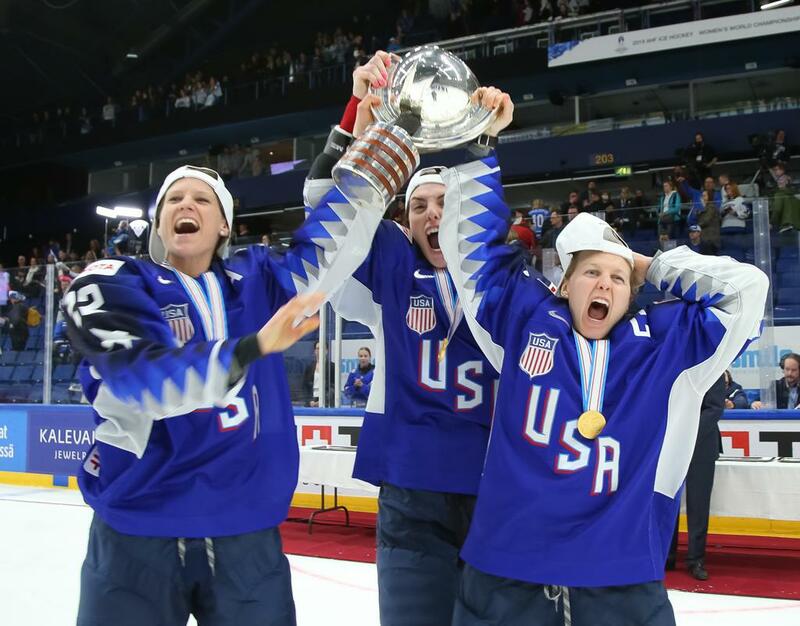 The U.S. defeated Finland, 2-1, in a shootout here tonight in the gold-medal game of the of the 2019 IIHF Women’s World Championship, claiming its fifth consecutive world championship gold medal and the program’s eighth in the last nine tournaments. “I’m extremely proud of our team tonight for playing their game while emotions were running high, in a loud building and against a team that played us incredibly hard,” said Bob Corkum(Salisbury, Mass. ), head coach of the U.S. Women’s National Team. “It’s been an honor to coach this team and a fantastic experience here in Espoo. We can’t thank the organizing committee enough for the hospitality over the past two weeks."